Please contact me personally by phone or email to discuss your health care needs. Lauren Jaye Women’s Healthcare LLC is located Mt. Vernon, Washington in Skagit County. Her gynecology services include Pap smears, annual exams, menopause and hormone support, birth control and contraception, menstrual and vaginal problems, breast concerns, sexually transmitted infections, and colposcopy. She also addresses sexuality issues and promotes healthy lifestyles. She is lesbian/gay/bisexual/transgender sensitive. 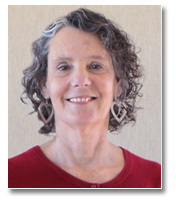 Lauren has been in practice since 1985 as a nurse midwife and women’s health specialist. She has a wealth of experience working with adolescents and women of all ages. Lauren Jaye ARNP, CNM is well known for providing excellent, personalized health care in an unhurried, supportive environment. She accepts all major insurances. I consider it a privilege to be let into women’s intimate lives, and gaining my patients’ trust is of utmost importance to me. Lauren is reimbursed by all major insurance companies including Kaiser, First Choice, Regence, Premera, CHPW, Molina and more. © 2019 Lauren Jaye Women's Healthcare. All rights reserved.